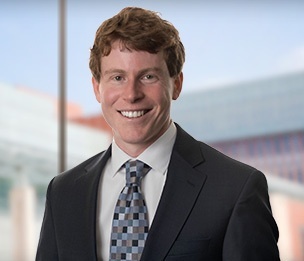 Andrew VanEgmond is a litigation associate in Dykema's Ann Arbor office. His practice focuses on products liability, class action defense, employment litigation, health care matters, and other complex litigation. His research and drafting skills are central to his Dykema’s teams’ briefing and client advice. While in law school, Mr. VanEgmond served as an intern for Federal Magistrate Judge David Grand in Ann Arbor. He worked for two semesters with the Pediatric Advocacy Clinic, including preparing for and conducting a child custody trial. He was also a contributing editor for the Michigan Journal of Race & Law and served as an executive board member and student advocate with the Student Rights Project, representing K-12 students and their families in school disciplinary hearings. At Dykema, Mr. VanEgmond continues to provide pro bono representation for K-12 students facing suspension and expulsion. Covenant FN 40: A Silver Lining for Health Care Providers?